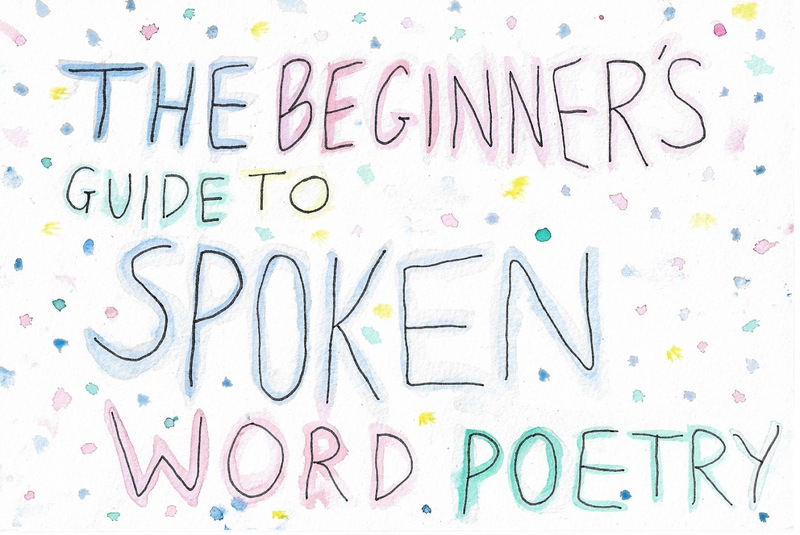 To the inexperienced listener, experiencing and performing spoken word poetry can seem terrifying and unattainable. Surely, baring your heart and soul for a crowd or a camera, or both, in a way that delights the ear requires immense bravery, strength and poetic talent, right? This was exactly how I felt about spoken word a few months ago; all I’d ever known of it came from YouTube, where I’d spent hours watching Kate Tempest, Blythe Baird and their counterparts while fantasising about a version of myself that was capable of shaping my innermost feelings in a way so beautiful that the words would dance off of my tongue and make an impression onto the brains of an adoring audience. 1. Don’t be afraid. Seriously. Although it might sound foolish to some, the fear of the blank page is a horrible one that makes writers everywhere leave their pens untouched. Unfortunately, the only way to curb this fear of writing is to write. Try not to overthink things and you’ll be fine. One of the best ways to do this is by doing a timed free write: set yourself a timer for five, ten or fifteen minutes (depending on your patience/ attention span) and write, non-stop, without paying attention to whether it makes sense or whether it's correct. This works really well in terms of loosening your tongue, so to speak. 2. Go with your gut. Spoken word poets tend to write faster, more urgently, while page poets (like myself, I suppose) prefer to spend longer fiddling with line breaks and other fine details. When it comes to page poetry, I can easily spend hours wondering whether a single word can make or break a poem. Of course, sometimes this can be a good thing, but more often than not, the first things that flow out of your head tend to be at their prime at when they haven't been touched. Sometimes, you’ll create images that’ll make you say ‘That doesn’t sound like poetry at all/ This isn’t real poetry/ No one’s going to like this,’ but who cares? Try to trust yourself in your writing. There’s some good stuff hidden in your brain, so let it work its magic. 4. Stop editing in your head! This one might seem identical to #1, but it isn’t quite: as you write, it’s tempting to do all of the writing and crossing out in your head instead of on paper. Over the past few months, I’ve been training myself to write out every single one of my thoughts and ideas out on paper (only while writing, of course - I’m not that weird), and it’s meant that I’ve been able to come back to things I wasn’t sure about, improve them, and then include them. I’d like to think that it’s made my poetry better. In June, I was lucky enough to be invited to perform one of these poems at the Free Word Centre as part of the Islington WORD Festival 2017. Naturally, I spent the two hours before the performance quivering with fear, since everyone else seemed to know how to captivate a 100-person audience with their words, and I’d never performed my poetry before. 1. Try not to think of it as a performance, so to speak: make it more familiar to you. Joelle Taylor, who was hosting the event, noticed my absolute terror at the prospect of performing. She gave me a piece of advice that I’d like to share with anyone who is as terrified of spoken word as I was. Treat performing in the same way that you’d treat submitting a piece of work to a journal or a magazine, except that instead of waiting for weeks or months for an acceptance or a rejection letter, you’re getting that response in the form of noise from the audience immediately. That seemed to calm me down enough, because it immediately made something rather alien to me seem much more familiar. Of course, you could use something else if submitting things online isn’t something you’re used to - perhaps you could pretend that it’s like baking a cake, except that instead of waiting for twenty minutes for your bowl of ingredients to turn into a fluffy sponge, you get that sponge immediately. Not the best example, but still. 2. Forget about the audience. I would like to take this opportunity to all of the folks who control stage lighting in this world, since they make performing much easier. Believe me, it’s much easier to perform in front of a group of people when you’re so blinded by the lights that you can’t see any of their faces. I pretended that no one was watching until my illusion of solitude was broken by the sound of applause at the end; honestly, no cliche could possibly capture the euphoria that you feel when that noise fills your ears. I sat down in my seat and spent the rest of the event, the bus ride to the train station and the train ride home with a smile that could rival a Colgate advert’s spread wide across my face. 3. Don’t forget about the audience entirely, though. One of the loveliest things about slam and spoken word is the fact that the audience is encouraged to make some noise when they hear something they like, usually in the form of whoops or clicking, depending on the mood of the event. Try to pay attention to the bits that people seem to like! They’re giving you their honest feedback. Use it wisely. Maybe some audience members will want to compliment your work directly afterwards, in which case you ought to say thank you as your heart explodes on the inside. Cheesy, once again, but it really does happen. Now you've gotten a taste of spoken word, here are a few bite-sized recommendations of some of my favourite spoken word poets to get you started. Shh, no one likes a party pooping spoil sport. "If you need me to prove my humanity, I'm not the one who's not human." If this poem appears familiar to you, that might be because Suhaiymah’s performance video went viral this summer. You can find plenty more spoken word poems via button poetry and channels like Savannah Brown’s on YouTube. In April this year, I also created a playlist of women in spoken word: find it here. You can enter this year's SLAMbassadors competition, judged by Sabrina Mahfouz, here. You've got til the 30th of September to enter.